So Neil Douglas, a name synonymous with many things, but until Saturday 16th March 2019, not tragically a stroke. To me, my brother- in -law, to my Sister a loving husband.. 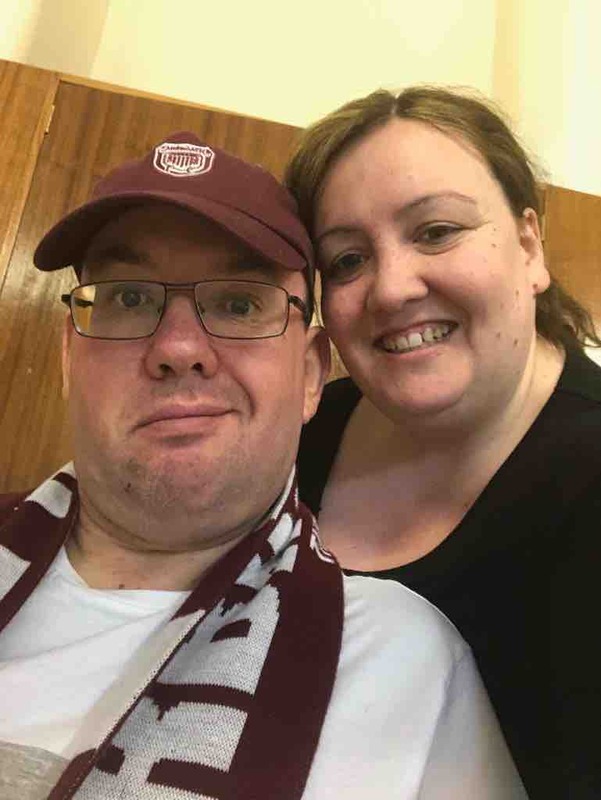 While filming for his other love (apart from my Sister), that is Arbroath FC, Neil tragically had a hemorrhagic stroke. Just to explain, his love of Photo/videography and football has led him ultimately to give of his time to record the highlights at football matches, home and away, rain or shine. Neil's footage has lots of hits on youtube, and AFC fans appreciate his efforts greatly at recording not only the match, but interviews too which are posted on the official AFC website. Back to Neil. 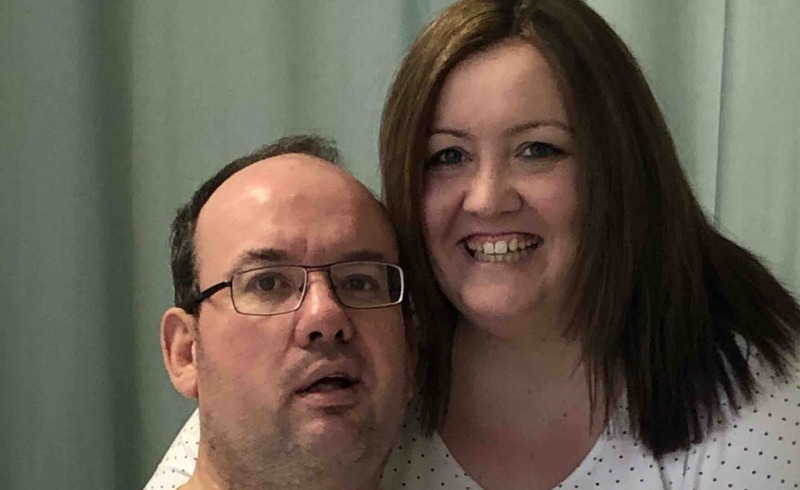 The stroke has left him paralysed down the righthand side of his body, he has speech and sensory impairment, and his right eye is visually impaired. his thought processes are also affected, all at the age of just 47.. I saw him tonight, and he asked ME, very slowly if I was okay! What a guy. Tash has no idea I'm setting this up on their behalf. but any help would be appreciated, anonymously or otherwise as I know the bills will continue to roll in, and it looks like at first signs, Neil's rehabilitation may be a lengthy one. 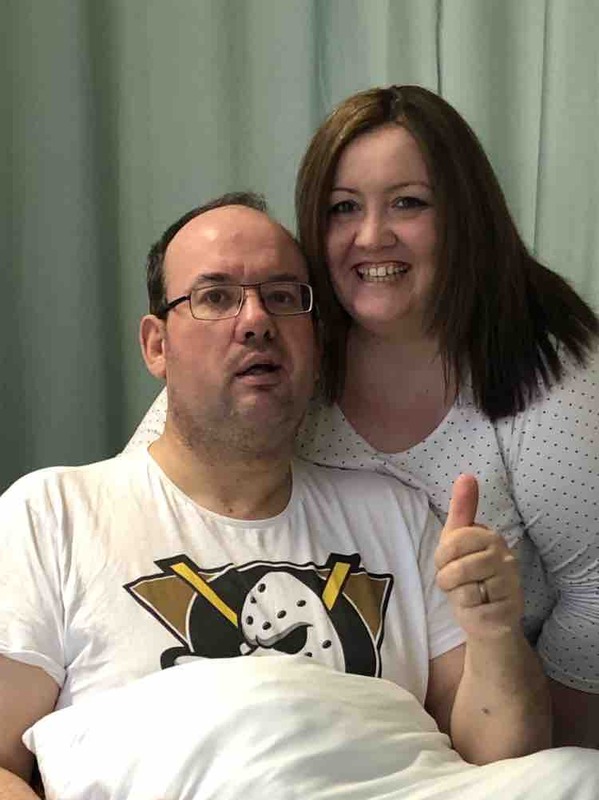 In the coming weeks/months, the family has been told Neil will be moved from Ninewells to Dundee's Royal Victoria hospital to aid his recovery. Any progress however slight will be welcomed by Neil and family, if not a speedy one, just recovery would be great.. My thoughts are obviously with supporting my Sister through these difficult times. Neil has now been moved to royal Victoria hospital. He is in the brain rehabilitation unit for his long term recovery. He is now undergoing intensive therapy to help him get back on his feet so hopefully in a few months I can get him back home. He is doing well and it’s nice to see the slow progress he is making. His thoughts were Obviously with Arbroath today at Glebe Park as they secured promotion! Here’s a photo of Neil and Tash from today..
An update from Tash: Neil did well at therapy today, his knee and hip muscles on the right side are very slowly starting to kick in and move now, so with lots of help, and 3 therapist holding him up, he walked a bed length 3 times! Afterwards, the therapist moved Neil’s right leg for the first few times, the next few steps Neil did himself (with the therapist holding the leg he could feel Neil moving the muscles), so all good signs! He still has no feeling in it but that’ll take time. Neil and I are so overwhelmed with all the support from family, friends, workmates and fellow lichties! 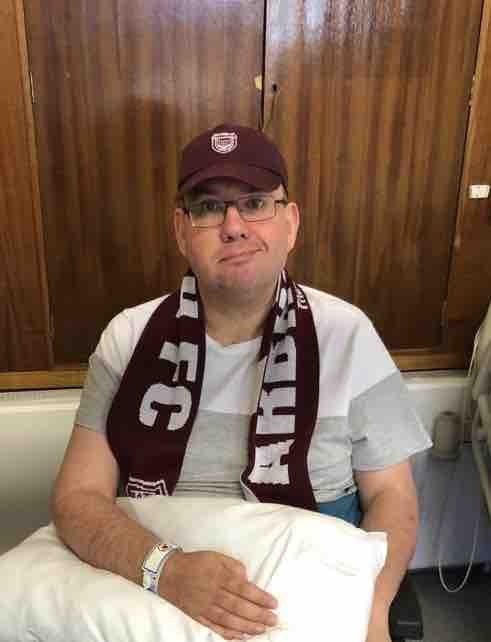 He talks about hoping to get back to the games and filming he’s told all the nurses and physio’s of his videoing at arbroath and how much he loves it. Each day I am seeing slight progress. He is now off the feeding tube and able to take teaspoons of water and eat puréed food which is great considering he had the stroke a week ago. He is trying to be positive and hopes to get back to full health when he can. Still no movement on all of his right side so it will be a long recovery but we are taking a day at a time. Thank you all so much for your kind donations, they’re very much appreciated.